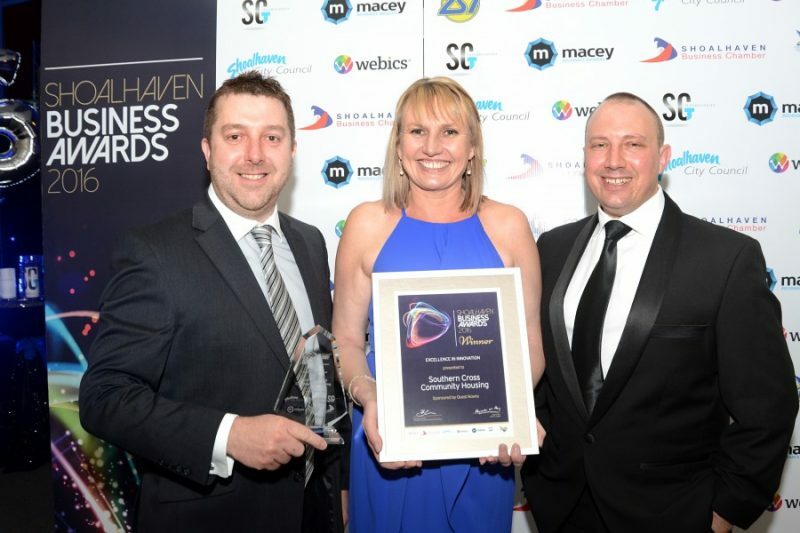 On Friday 26th August, Southern Cross Housing went along to the Shoalhaven Business Awards 2016. We were a finalist in 4 categories and we came home winners of 2; Excellence in Innovation and Excellence in Inclusion. Excellence in Innovation was awarded for our event The Shoalhaven Shark Tank. This award recognises a business that has achieved measurable success and made significant contributions to their industry through the introduction or improvement of an idea, method, technology, process or application. Excellence in Inclusion recognises businesses that address the needs of a diverse community, including seniors and people with disability. An inclusive society facilitates the needs of all its members, and encourages participation by all in everyday activities. Well done to our team who work tirelessly to make this such a great organisation!